Register for the Great Expressions Dental Centers text messaging system today. You can confirm upcoming appointments for you and your dependents right from your mobile phone, as well as receive your account balance with a simple command. If you can’t remember when future appointments are scheduled, we’ll send that to you, as well. You’ll no longer receive confirmation calls from your office. Simply text SUBSCRIBE to 98269 or 200100 to opt-in via your mobile phone. * Refer to our Frequently Asked Questions for more information and remember, by signing up, you automatically agree to our Patient Communication Policy. 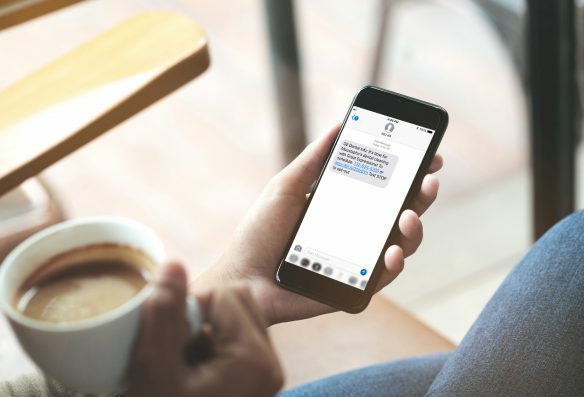 All guarantors that provide a valid cell phone number during the patient registration and/or check-in process will automatically be enrolled in text message reminders. Great Expressions may also send overdue appointment reminders regarding your dental health. Having trouble subscribing? If you are receiving an error while trying to subscribe, please check the following: (1) your number is registered on your patient account, (2) you do not have short code texting disabled (contact your provider to update this), and (3) remove all text message signatures you may have set — this will send an invalid message to our system as signatures add on to your original message. If you are still experiencing issues, please contact your Great Expressions office for additional assistance. ** You will not be able to confirm these appointments. All appointment confirmations text messages will be sent prior to your appointment. Please refer to the Frequently Asked Questions for detailed information. Five (5) days prior to your scheduled appointment, you will receive a text message to confirm your date and time. Unreplied confirmation text messages will receive another notice three (3) days prior to the scheduled appointment requesting a confirmation. Great Expressions Dental Centers® branded practices are independently owned and operated in specific states by licensed dentists and their professional entities who employ the licensed professionals providing dental treatment and services. Michigan licensed dentists may not be licensed in identified subspecialties. Office practices may vary and patients should contact the dental office for treatment and service issues. ADG, LLC, provides administrative and business support services and licenses the Great Expressions Dental Centers® brand name to independently owned and operated dental practices. ADG does not own or operate dental practices, or employ the licensed professionals providing dental treatment and services. © 2019 Great Expressions Dental Centers. All rights reserved.